So with this in mind here are some recent reads that more than deserve a bit of that precious hand luggage space. Nick Miller and his team provide a unique and highly illegal service, relocating at-risk individuals across Europe with new identities and new lives. Nick excels at what he does for a reason: he’s spent years living in the shadows under an assumed name. But when Nick steps in to prevent the attempted murder of witness-in-hiding Kate Sutherland on the Isle of Man, he triggers a chain of events with devastating consequences for everyone he protects – because Nick and Kate share a common enemy in Connor Lane, a man who will stop at nothing to get what he wants, even if it means tearing Nick’s entire network apart. 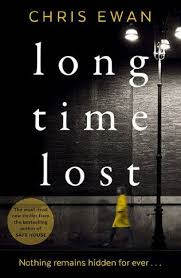 Having quickly established himself as one of my particular favourites Ewan brings us, Long Time Lost, which takes us on a chilling adventure throughout Britain and Europe, focusing on the work of a small team on a personal mission to protect individuals under witness protection. From its suspenseful opening to a beautifully weighted unfolding of a dark and dangerous tale, this book totally justifies the label of ‘unputdownable’. What struck me as I was reading was the sheer cleverness of plotting that Ewan demonstrates throughout, fortified by a band of characters that range from emotionally damaged, to quirky, to downright dastardly. The two main protagonists of Nick and Kate are incredibly appealing, and with both having more layers than a proverbial onion, Ewan slowly draws back the curtain on the tumultuous events in their lives that have shaped Nick’s role as a protector, and how Kate’s character evolves as she finds herself increasingly under threat as a valuable witness. Ewan uses feints and red herrings to great effect, wrong footing our perceptions of certain characters as the story progresses. By slickly moving from country to country there is a wonderful momentum and sense of movement so just as you adjust yourself to the mortal danger our protagonists face, you are speedily transported to another setting where more tension awaits you. This also makes it incredibly difficult to know when to stop reading, as there is a real sense of you wanting to see what’s around the next corner. It’s thrilling, unpredictable and engrossing. Highly recommended. Red Square, 1985. The naked body of a young man is left outside the walls of the Kremlin; frozen solid – like marble to the touch – missing the little finger from his right hand. It’s a brave writer indeed who pitches up with an idea for a thriller set in 1980’s Moscow, as we all know and love Gorky Park, and many have failed in its wake. But good news crime buddies, Grimwood has cracked it with the atmospheric and claustrophobic Moskva. 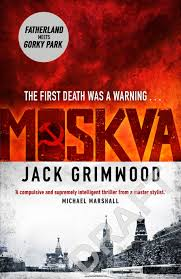 With impeccable plotting, research and narrative tension, Grimwood has produced one of the best Soviet set thrillers I have read. Drawing on, and using to great effect, all the inherent and documented fear and suspicion so redolent of Soviet life within this period, Grimwood has crafted a supremely intelligent serial killer thriller, with a depth of characterisation that will draw in admirers of other exponents of this subgenre. As the depth of conspiracy and concealment begins to reveal itself, frustrating Fox’s investigation of Alex’s disappearance, there is a crackling tension to the book throughout, compounded by Grimwood’s unflinching analysis of the weaknesses and dangers of the Soviet state that so consistently thwart Fox, giving him a slippery grasp on truth amongst the smoke and mirrors emanating from the echelons of power in Moscow. I’ll say no more to avoid spoiling your reading of this one, but you must seek this one out. It’s a terrific read, and Grimwood demonstrates again his real flexibility as a writer. Add to your wish list now. 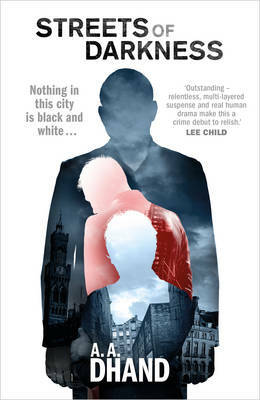 Streets of Darkness is to my knowledge the first crime book set in Bradford that I have encountered, and with only having visited the city a couple of times, my curiosity was instantly aroused with the mouthwatering prospect of unexplored crime territory. Unlike other British police procedural writers, Dhand paints an entirely bleak and unflinching portrait of this city, without the little moments of affection that normally punctuate other writers’ portrayals of their home towns. The image that Dhand portrays of his city is unrelentingly grim and depressing, and there is a downtrodden air amongst its inhabitants that hammers home the true picture of inner city deprivation and neglect that this city has suffered. Even allowing for the rare moments of happiness that Virdee experiences on the cusp of the birth of his first child, his character, with all his personal torments and professional frustrations, is a perfect mirror of Bradford itself. Dhand also highlights the long standing religious intolerance experienced by those marrying outside of their religion- Virdee is a Sikh, but is married to Saima, a Muslim- and I very much enjoyed Dhand’s exploration of the role of religion in their marriage and personal beliefs. Indeed, the attendant problems of faith loom large for Virdee throughout, both personally and professionally, as he becomes embroiled in a violent and dangerous investigation, that soon threatens all he holds dear, against a backdrop of a city thrown into a state of social unrest. Virdee is a traditional maverick, and goes out on a limb in the course of the book, despite operating whilst suspended as a police officer. Despite his downtrodden and naturally pessimistic air I did quite take to him as a character, but was a little unconvinced by the slightly schmaltzy feel when Dhand turned his attentions to Virdee’s home life. There was also an annoyingly predictable plot device linked to this that did make me punch the air in frustration as it wasn’t needed, and rather undid the fact that this was a very well-plotted and compelling depiction of inner city strife and burgeoning violence up to that point. However, that niggle aside I would still strongly recommend this debut. 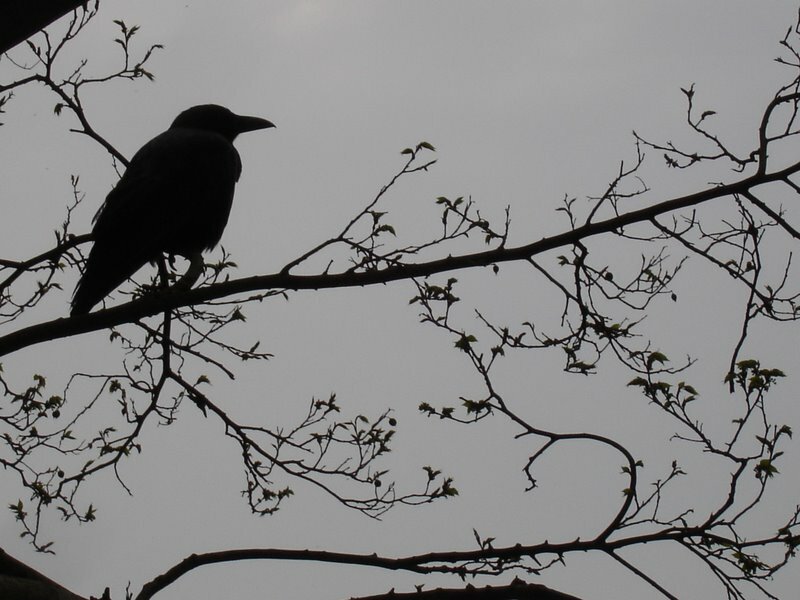 Grim, violent and a welcome addition to the British crime writing scene.